So you know when you read about a product being UV/Led curable? Well, I know that it means that it will cure under the suns rays (a.k.a UV rays!). Even though I have being doing nails for many many years, I had a moment the other day. I believe it was that I was simply blinded by the fact that these colors were SO EXCEEDINGLY beautiful that I lost my mind for a minute or two. I couldn’t get the perfect shot of these colors inside so I got out my macro lens and headed outside. 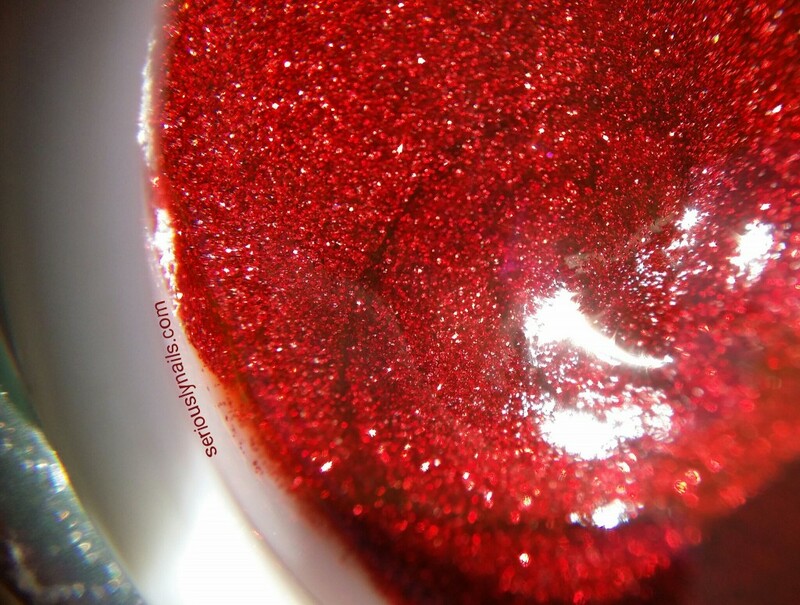 An incredibly glittery rich deep red that will be perfect for holiday nails! I find it hard to describe the glitter effect. 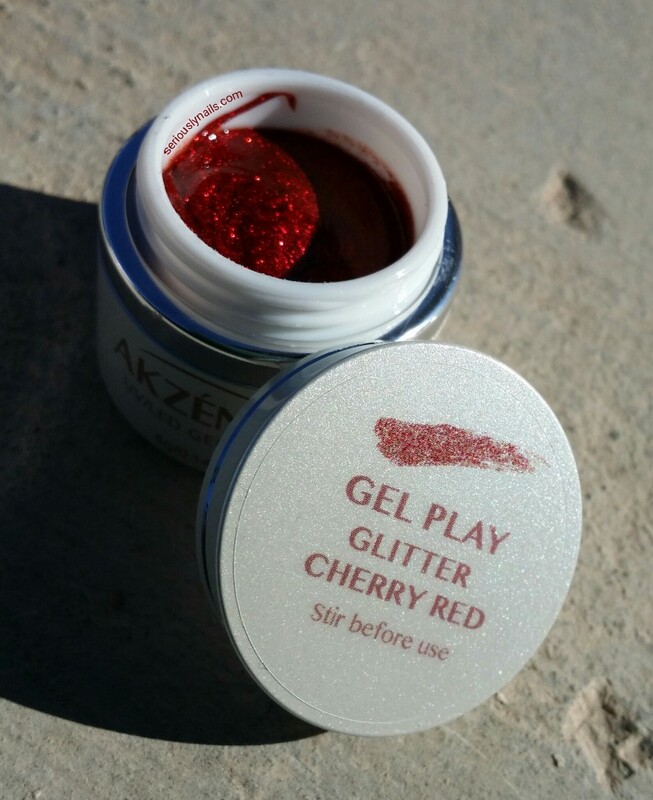 The glitters are small enough as to not be gawdy, so that’s perfect. Here is a bottle shot for you. I hope you can get the feeling of the richness of it. 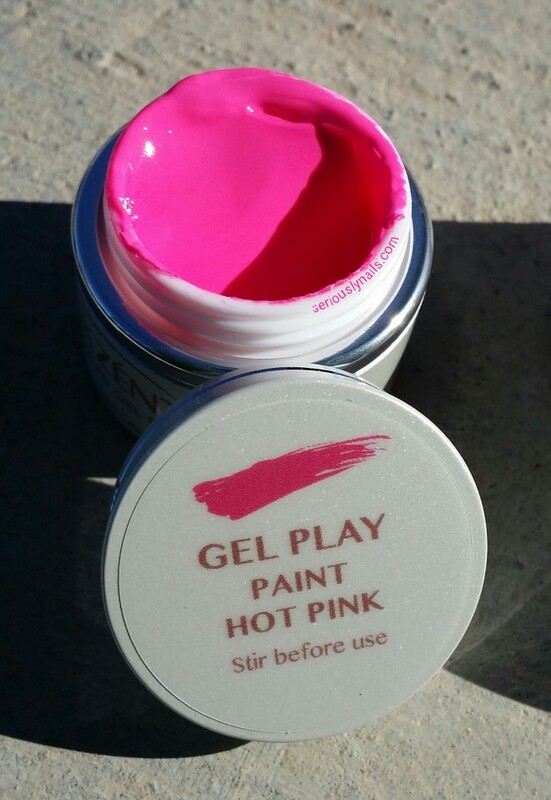 And then “Hot Pink”!!! Wowsers! 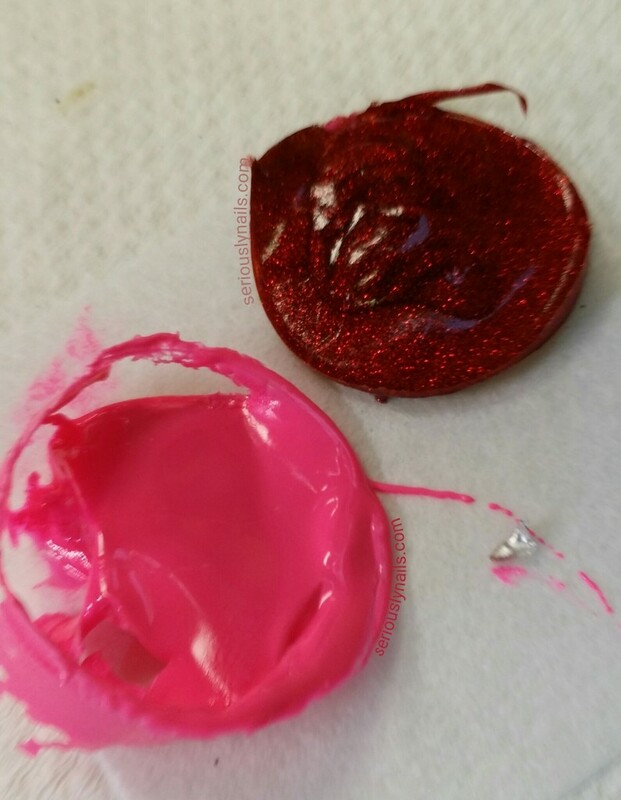 It is such a vibrant and almost neon pink that I could not get the camera to focus on it for a macro shot. Too bright. I Love the effect is has! As I am walking inside, it dawns on me that I just spent 5 or so minutes with the lids off these beauties in the sunshine in Las Vegas! Only one of the sunniest (a.k.a. UV rays) places around! Not such a great idea……(insert sad face). Maybe, just maybe I didn’t ruin the whole containers. I pulled the top hardening layer off before it got too far I think. I will do art with them and a review when I get back from Canada!